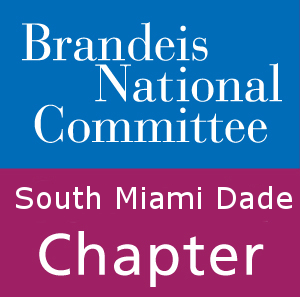 Committee hosted University on Wheels on January 5, 2017 at Temple Beth Am in Miami. 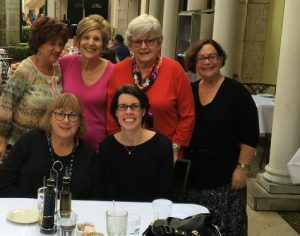 We were graciously welcomed by our Co-Presidents, Lili Poms and Fran Gross, who also shared the BNC mission statement with us. We were thrilled to have had many distinguished guests. 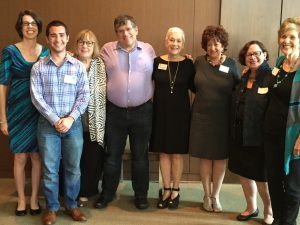 Madalyn Friedberg, BNC National President; Beth Bernstein, Executive Director; Sharon Rosenberg, Director of Alumni Relations and Jacob Abrams, Student Ambassador Director joined us. Madalyn and Beth spoke to us and we were truly moved by their inspiring words. We then enjoyed a fascinating presentation on Shakespeare and Time by William Flesch, award-winning Professor of English. He took us on a journey by sharing that Shakespeare thought intensely about human experience from many different perspectives and that part of his greatness as a literary psychologist comes from the way he integrated both aesthetic and practical perspectives. It’s also important to note that Professor Flesch has had a positive impact on our chapter in that his syllabus provided the impetus for our very successful short story study group. This was an event to remember and another opportunity to begin the new year with a wonderful speaker and University on Wheels. Don’t be left out! Sign up NOW for our wonderful Study Groups and theater offerings. 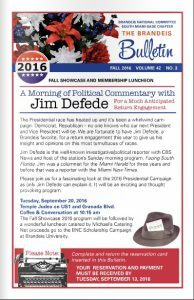 See full details in our new Fall Bulletin! Don’t miss our special Book and Autor Luncheon on November 9th. Our very own member Dr. Rita Botwinick will discuss her memoir Gratefully Yours. See full details in our new Fall Bulletin.